I found a recipe for morning glory muffins on Pinterest and decided to take a stab at making them vegan and gluten free. I’ve been trying to reduce the animal products and the gluten I eat, and making these muffins vegan and gluten free was easier than most people think. 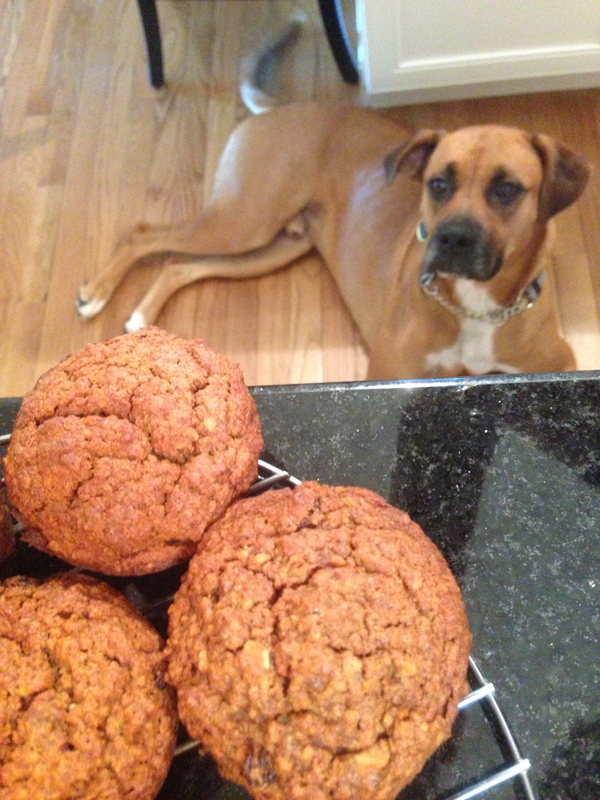 Over the past few weeks, I’ve probably made these muffins four times. Seriously. I might be a little obsessed. Lots of people have asked me for the recipe, so here goes. In a small bowl, cover the raisins with hot water and let them soak while you work on the rest of the recipe. In a large bowl, whisk together the flour, sugar, baking soda, spices and salt. Stir in the carrots, apple, coconut, nuts, and the sunflower seeds or wheatgerm if you’re using them. In a separate small bowl, mash the bananas OR make the flax/chia seed eggs, then add the melted coconut oil, vanilla and orange juice. Add this wet mixture to the dry flour mixture, and stir until evenly blended. Scoop the batter into the muffin tin – I like to use a small ladle for this. The batter will almost reach the top of each muffin well. Bake the muffins for about 25 minutes. Remove them from the oven and set on a cooling rack for about 5 minutes. Then, take them out of the muffin tin and allow them to finish cooling.